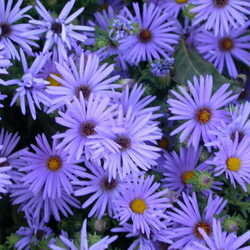 Lady Bird Johnson, First Lady of wildflowers! This woman was born on December 22, 1912 as Claudia Alta Taylor in Karnack, Texas. She died nearly 95 years later as Lady Bird Johnson, one of the most influential First Ladies the United States has ever known. How did the one become the other, and how do beautification and wildflowers fit in? She brought something lovely to the role of First Lady and the country has, thankfully, never recovered. 1913 Baby Claudia was nicknamed "Ladybird" by her nurse, who said Claudia was "as purty as a ladybird" and the name stuck. She was called "Lady" by friends and family members and put down the last name of Bird on her marriage license. In 1934, Lady Bird Taylor graduated from the University of Texas at Austin with degrees in History and Journalism. It was in Austin that she met young Lyndon B. Johnson. Their first date started with breakfast and ended 10 hours later with a marriage proposal! Lady Bird demurred, having just met the man. He persisted and 10 weeks later she consented. They were married the next day! She had no idea that her young Congressional aide would end up in the White House. 1959-60, During the John F. Kennedy—Lyndon B. Johnson presidential campaign, Mrs. Johnson often stood in for Mrs. Kennedy at official functions, as Jacqueline Kennedy was often unable to appear. This way, Lady Bird gained experience in speaking to crowds, and became comfortable as a public speaker. Likewise during the years of Kennedy's presidency, Mrs. Johnson had an active role. In November of 196 3, President Johnson was inaugurated on Air Force One only two hours after President Kennedy's tragic asassination. Lady Bird Johnson became the First Lady of the United States. September, 1964, President Johnson signed a Wilderness Act, setting aside over 9 million acres as federally reserved wilderness, marking the first time since President Theodore Roosevelt or President Franklin Roosevelt that a president had shown an interest in conserving the country's natural beauty. In November of 1964, President Johnson was elected to serve as President in his own right, with Lady Bird at his side. 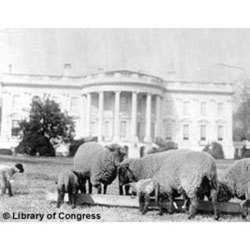 "Getting on the subject of beautification is like picking up a tangled skein of wool," Lady Bird wrote in a diary entry, shortly after the inauguration, on January 27, 1965. "All the threads are interwoven—recreation and pollution and mental health, and the crime rate, and rapid transit, and highway beautification, and the war on poverty, and parks—national, state and local. It is hard to hitch the conversation into one straight line, because everything leads to something else." 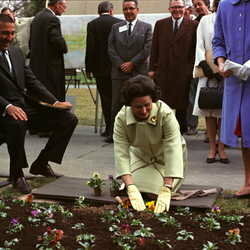 In February of 1965, undaunted, Lady Bird organized A Society for a More Beautiful National Capital with private donations. This Society planted hundreds of bulbs, shrubs and small blooming trees both in the public areas for tourists and visitors to the city to enjoy as well as in the inner city areas of D.C. In her own words, "take the small triangles and squares with which Washington abounds, now quite barren except for a dispirited sprig of grass, and maybe a tottering bench, and put shrubs and flowers in them, through the volunteer help of neighborhood associations or business firms (it would take some cutting of red tape to do that); perhaps have a volunteer committee of landscape architects to draw up plans, so that we can have continuity and good taste and a wise choice of plants." We still enjoy Lady Bird's efforts each spring when daffodils burst into bloom and cherry trees blossom in the D.C. area. Her hope was that Washington D.C. could become an example for other cities around the country. In 1965, Lady Bird joined the Keep America Beautiful campaign. October 1965: Next, she suggested that something be done about the highways and infrastructure that had been built during the Eisenhower administration and were clogged with billboards and junkyards. Enter the The Highway Beautification Act, nicknamed "Lady Bird's Bill." The resulting legislation limited the areas billboards could be placed and provided for landscaping of roadside areas. Two weeks before the bill was signed, the President had been driven along the George Washington Memorial Parkway back to the White House. He is quoted as saying "I saw Nature at its purest. The dogwoods had turned red. The maple leaves were scarlet and gold . . . . And not one foot of it was marred by a single unsightly man-made obstruction—no advertising signs, no junkyards." Later that month President Johnson signed into law The Water Quality Act. November 1965: The Clean Air Act was next. In 1966, Mrs. Johnson was presented with the George Foster Peabody Award for the television program, "A Visit to Washington with Mrs. Lyndon B. Johnson on Behalf of a More Beautiful America." In 1967, President Johnson declared a "Youth Natural Beauty and Conservation Year." March 1968: Johnson announced, to Lady Bird's relief, that he would not run in that fall's election. July 1968:President Johnson signed The Land and Water Conservation Fund Act. October 1968 the Wild and Scenic Rivers Act and the National Trails Systems Act were signed by the President. All these congressional actions, which should be near and dear to us as gardeners and stewards of the earth, were suggested or influenced by Lady Bird! 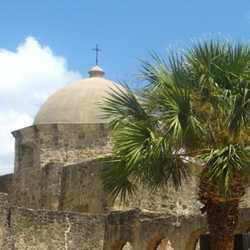 While her efforts are often referred to as "beautification", she felt that "though the word beautification makes the concept sound merely cosmetic, it involves much more: clean water, clean air, clean roadsides, safe waste disposal and preservation of valued old landmarks as well as great parks and wilderness areas. To me...beautification means our total concern for the physical and human quality we pass on to our children and the future." 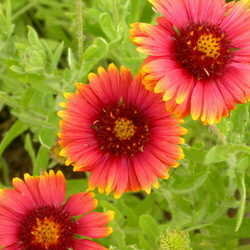 Lady Bird felt that mental health could be improved and stress reduced by looking at flowers or landscapes. "One method Mrs. Johnson employed in her beautification campaign was to call attention to important sites by visiting those places with the media in tow. She visited historic sites, national parks, and scenic areas, usually accompanied by ... a number of dignitaries and the media. Her nine beautification trips included Virginia historic places, the Hudson River in New York, Big Bend National Park and the California Redwoods, among others," reports the Lady Bird Johnson Wildflower Center. 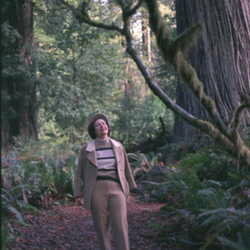 In Lady Bird Johnson and the Environment, Austin historian Lewis Gould wrote that "having a first lady who said that the Grand Canyon should be preserved and the redwoods should not be cut down, that parks should be saved and freeways built with urban resid ents in mind, meant that environmental issues received a statement of legitimacy and value from the White House and the presidency...The result was an instilling of conservation and ecological ideas in the national mind with a skill and adroitness that put Lady Bird Johnson in the front rank among modern first ladies and women in American politics." And Lady Bird John herself said "wildflowers and native plants are as much a part of our national heritage as Old Faithful or the Capitol building, but the world in which they once flourished is now disappearing." January 1969 His final term at an end, President and Mrs. Johnson left Washington and moved to the LBJ Ranch, 60 miles west of Austin. While Lyndon Johnson roamed his ranch, Lady Bird attacked Austin's problems. Austin had a polluted waterfront area that was begging for some of Lady Bird's "beautification." 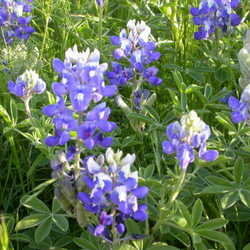 And beginning in 1969, she held a competition, with awards for the best use of wildflower plantings along Texas highways, and she wrote personal checks to the winners as prizes. This lasted until 1989. In 1971, partnering with then-mayor of Austin Roy Butler, she chaired the Town Lake Beautification Project , a community effort to create a hike-and-bike trail and plant flowering trees along the lake created where the Colorado River flows through Austin, Texas. In 1982, on her 70th birthday, she established the famous National Wildflower Research Center with a gift of 60 acres near Austin. It shortly expanded to "became a national leader in research, education and projects that encouraged the use of wildflowers." She gave it the "mission of increasing the sustainable use and conservation of native wildflowers, plants and landscapes... the Center works to teach everyone how these plants conserve water, minimize the use of fertilizers and insecticides that pollute the atmosphere." 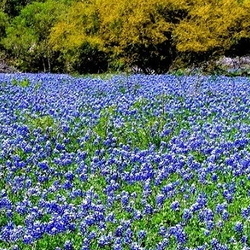 Later she purchased 40 more acres; now th e Lady Bird Johnson Wildflower Center spans nearly 300 acres of trails, buildings, meadows and gardens. It has more than 700 plant species on display, and a fully developed education program. And currently 3,000-16,000 joggers, hikers and bikers use the ten-mile trail around the waterfront in Austin, Texas each day! Very shortly after Lady Bird's death in 2007, the lake's name was officially changed from "Town Lake" to "Lady Bird Lake." Her daughter, Luci Baines Johnson, apparently told the Austin town council that Lady Bird would have accepted one of the town's numerous offers to change the name of the lake except that she felt the trail ought to be fully wheelchair-accessible, and it wasn't. The matriarch herself (seven grandchildren and ten great-grandchildren, at the time of her death) was legally blind from 1993 on, and in a wheelchair for the last several years of her life. 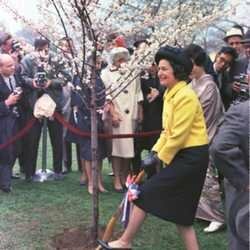 "Lady Bird Johnson did more than plant flowers in public places. She served the country superbly by planting environmental values in the minds of the nation's leaders and citizens," wrote Stewart Udall, U.S. Secretary of the Interior during Johnson's administration. True confession: I thought I was signing up to write a short, little article about a nice, little, old lady who planted daffodils and liked wildflowers. Boy, did I ever underestimate Lady Bird Johnson. Her Wildflower Center, I thought, would focus on desert-type wildflowers, coneflowers and agastache, the ones that drown in a typical New England spring and early summer. I was even wrong about that! I plugged my zip code into their search engine and it came up with pages and pages of low-maintenance, native plants perfect for my area, like Monarda, Lobelia cardinalis and New England Aster. Those ones I already knew about; now I have to try the ones I hadn't heard of. And as I drive on my section of landscaped Interstate 95 at least twice a week, I'll contrast it with nearby trashy Route 1. Hats (with matching gloves and pumps) off to Lady Bird Johnson! PHOTOS OF LADY BIRD JOHNSON ARE IN THE PUBLIC DOMAIN. PHOTOS OF 1.TEXAS BLUEBONNET, 2.INDIAN BLANKET AND 3.NEW ENGLAND ASTER ARE COURTESY OF DG SUBSCRIBER FROSTWEED AND USED WITH HUMBLE THANKS. Gardeners in the White House Bluebonnets: A Texas Tradition What Can Bloom in this Heat?